Though non-ferrous metal applications predate the Middle Ages, it wasn’t until advancements in the production of machined components during the Industrial Revolution, and the subsequent impact of the transportation revolution that pushed demand tremendously for their use. The development of the airplane industry, the commercialization of automobiles, and the mass production of durable and recreational consumer goods fueled the demand. Today, real-world applications of non-ferrous metals provide technological advantages and cost savings that are indispensable. Here are 5 examples where non-ferrous metal applications have greatly impacted the industry: aluminum aircraft frames, magnesium transmissions, titanium golf clubs, zinc electrical hardware, and bronze gears. Of all the applications aluminum is used for, no one industry has benefited more than the airline industry. Aluminum parts have been used in the construction of aircraft since the Wright Brothers used an aluminum crankcase for the WrightFlyer. 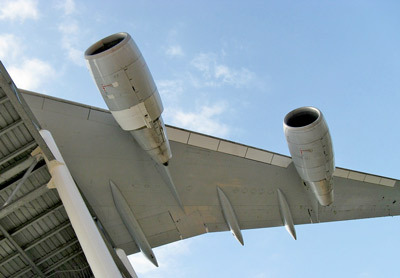 Lightweight, durable, strong and extremely flexible, aluminum has proven to be the best material for the construction of heavier-than-air aircraft. By weight, 80 percent of all aircraft is now made of aluminum parts. The fuselage, wings and rudder, doors and floors, frames of seats, fuel nozzles, hydraulic systems, ball bearings, engine turbines—are made of aluminum. In other words, it’s found throughout the entire aircraft and its frame. Developments in aircraft technology are directly linked to the advancement and production of aluminum alloys. 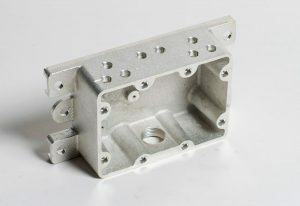 Aluminum casting technology offers lower costs to manufacturers, but also allows engineers to incorporate innovative designs and concepts. Years of reliable, positive data on fatigue and stress supports the great advantage of aluminum in aircraft frames. It is why it is the mainstay of the industry and metal of choice for commercial airlines and military aircraft. 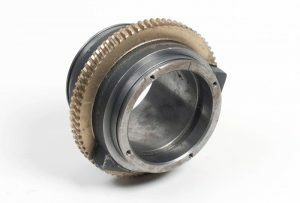 The advantages of using transmission parts made from magnesium in the manufacturing of automobiles, trucks, and other vehicles are of no surprise. Magnesium cast parts are the choice of the industry because the metal is 75% lighter than steel, 33% lighter than aluminum, has a high strength to weight ratio, high impact resistance, has an excellent dimensional stability, and can be cast to just about any shape. Of all the most popular metal alloys, magnesium has the lowest density, which makes it an attractive fit in the manufacturing of transmission parts. It not only reduces the total mass of a vehicle, but its weight distribution and balance. Lowering the front end improves the dynamics of the vehicle. The application of magnesium cast alloys is also compatible with commercial automatic transmission fluids. In laboratory studies, the effects of high temperature, presence of condensation or water, and the galvanic coupling with steel caused no significant corrosion of magnesium under any of the test conditions. Overall, magnesium cast parts offer a lightweight component and feature integration that’s proven to be durable and highly effective. Titanium ore was first discovered on a Cornish beach in 1791. Reverend William Gregor, an English pastor, mineralogist, and chemist who made the discovery, had no idea that 200 years later it would transform the game of golf by creating the best golf clubs ever made. The use of titanium and titanium alloys in the manufacturing of golf equipment was first introduced to the game in the 1970s, but it took another twenty years to perfect the design before the widespread use of the club took off in the 1990s. 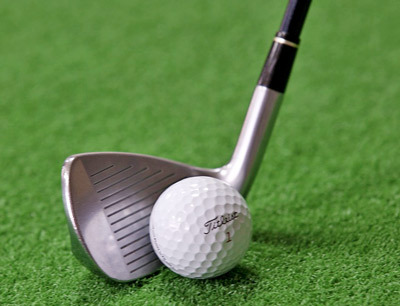 Club designers realized titanium is an amazingly strong, yet lightweight metal. It’s 45 percent lighter than steel. Titanium’s light-weight material allowed for a larger sweet spot on the club head, resulting in a faster swing, which optimized the launch, flight, and trajectory of the ball. Distance was increased on average by 20 percent. Titanium is also the strongest and most durable of the metals, and is impervious to the elements and any weather conditions. The introduction of titanium in the making of golf clubs, with its advantage in durability and longevity, combined with increasing the distance part of the game, has effectively revolutionized the sport. The relentless forces of corrosion and chemical leaks on wire terminal connections in industrial environments increase the risk of electrical reliability. In fact, industry reports have indicated that up to 60 percent of electrical downtime is caused by faulty connections. Zinc casting and electroplating in the manufacturing of electrical components and parts has proven to be the most effective application in combating the effects of corrosion and chemicals in harsh industrial environments. Zinc is a hard metal, dimensionally stable and self-lubricating, and its properties make it ideal for electrical and thermal conductivity. One of the strongest and toughest metals there is for the casting of parts, zinc creates a formidable barrier in protecting metal surfaces. It’s an abundant, low-cost raw material and, as its casting is done at a moderate temperature, it’s energy efficient. Today, it is used extensively in the manufacturing of electrical hardware. 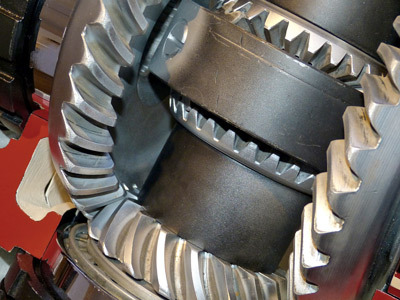 Bronze gears are integral part in a variety of gear-drive systems. Gears cast with bronze are found in power transmission systems, jack screws, landing gears, and pumps, among other gear-drive systems, and are used in industries ranging from automotive and aviation to machine tooling, marine, and oil production. The main reason bronze casting has gained so much popularity is because the metal has unique properties that contribute to minimal wear. The metal has low coefficients of friction compared to other ferrous and nonferrous metals, such as steel or aluminum. Lower friction means higher efficiency and less wear, which makes a good bearing material. Other factors that make bronze gears a good bearing material is its corrosion resistance, its resistance to high temperatures, and it is easily machined, welded, brazed and soldered.